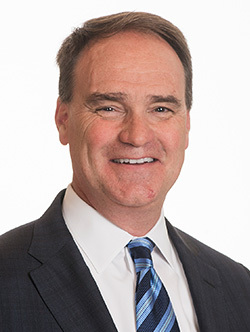 Prior to his current position as Chief Financial Officer and Chief Operations Officer for Global Mortgage Insurance of Genworth Financial, which he has held sense 2012, Mr. Upton served as Senior Vice President and Chief Operating Officer for International Mortgage Insurance of Genworth Financial, beginning in October 2009. Mr. Upton served as Senior Vice President and Chief Financial Officer, Genworth Financial International – Asia Pacific, Canada and Latin America from November 2007 to September 2009. His previous roles also included responsibility for Global Financial Planning & Analysis from 2004 to 2007, International Finance Manager from 2002 to 2004 and Mortgage Insurance Global Controller from 1998 to 2002. Mr. Upton joined General Electric in July 1998 from KPMG Peat Marwick, where he served in accounting positions of increasing authority before attaining the position of Senior Manager – Insurance in Raleigh, North Carolina. Prior to that, Mr. Upton was the Controller and Director of Financial Reporting for Century American Insurance Company in Durham, North Carolina, and obtained the status of Certified Public Accountant (since relinquished). He began his career as a Financial Analyst with Coastal Group, Inc. Mr. Upton obtained his Bachelors of Science, Accounting from the University of North Carolina at Pembroke.